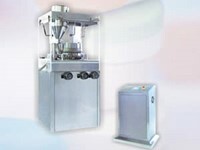 Jiangnan Enterprise is an experienced tablet press machine manufacturer and supplier in China. We provide various types of products such as granulator, capsule filling machine, automatic medicine packaging production line, automatic cartoning machine, and tablet coating machine. 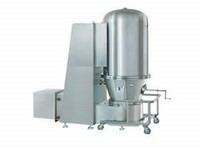 Fluid Bed DryerFluid bed dryer is a desirable product in compliance with the GMP standard, able to deal with such raw materials as large granule in size and small pellets with some adhesion. 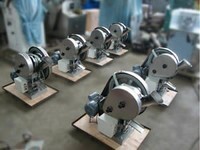 Due to its high speed mixing, we can use screw roller to extrude and vibrate powder raw materials. Also, our product can serve to dry humidity block or powder in food, chemical, feedstuff and pharmaceutical industries, etc. 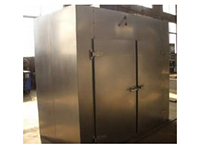 Hot Air OvenHot air oven is prominently characterized by high heat efficiency and energy conservation, stable performance, low noise, self controlled temperature, as well as convenient to install and maintain, which can be widely applicable in both light and heavy industries, foodstuff, chemical and pharmaceutical industries and so on for heating and dehumidification. Three Directional Movable Mixing MachineHD type three directional movable mixing machine is a novel type product in replace of two dimensional movement of traditional equipment, which features highly effective, long service life and safe operation. It shows optimal effect especially for high degree of uniformity of the granules or powders with distinct humidity, flexibility and specific gravity. 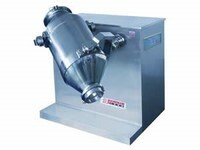 Trough Medical MixerTrough medical mixer is suitable for pharmaceutical, chemical, food and other industries, primarily dealing with evenly mixed powder or pasty materials. This device works by adoption of mechanical drive, and this method can improve the quality of each beach of mixture with high degree of uniformity. 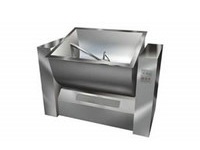 Firstly, this trough medical mixer rotates S type stirring paddle and turn over raw materials back and forth.